You guys. To say I was spoiled for my 30th is an understatement. 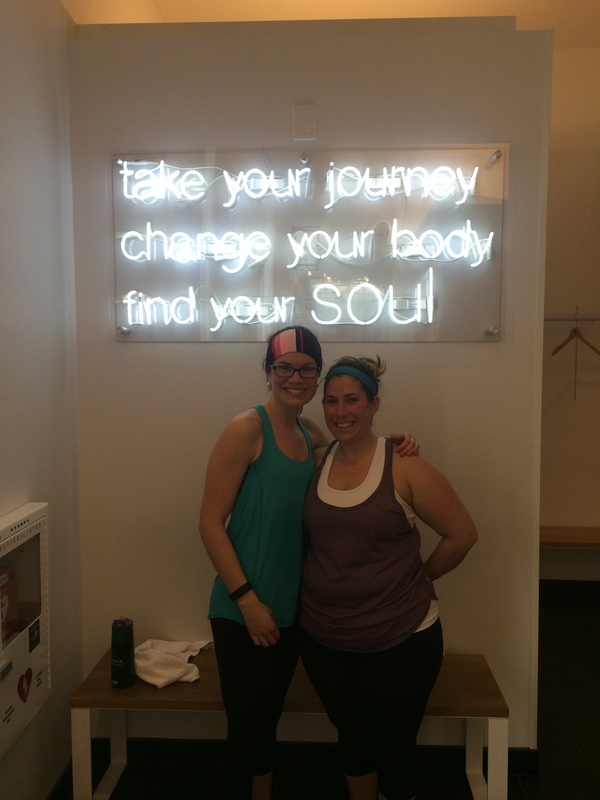 I’ll do a full recap later, but today I want to share my first SoulCyle experience with you. I have been invited to a few blogger events there, but for one reason or another was never able to make it. For my birthday, my sister suggested taking 1/2 days and going to a class somewhere of my choice followed by lunch (our favorite sister date activities!). 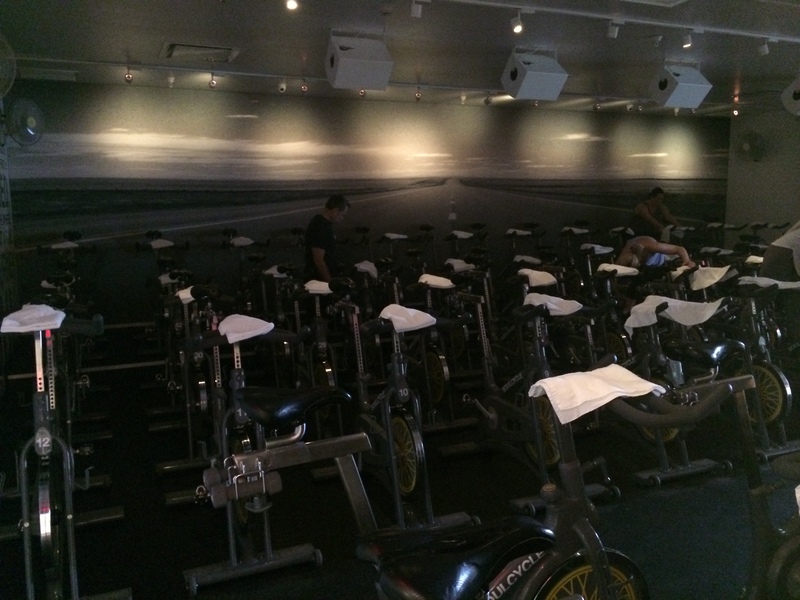 I looked around at some of my favorite indoor cycling studios (for more reviews of studios I’ve been to, check here: Reviews: Boston Fitness Studios) but none seemed to have classes around lunch time. 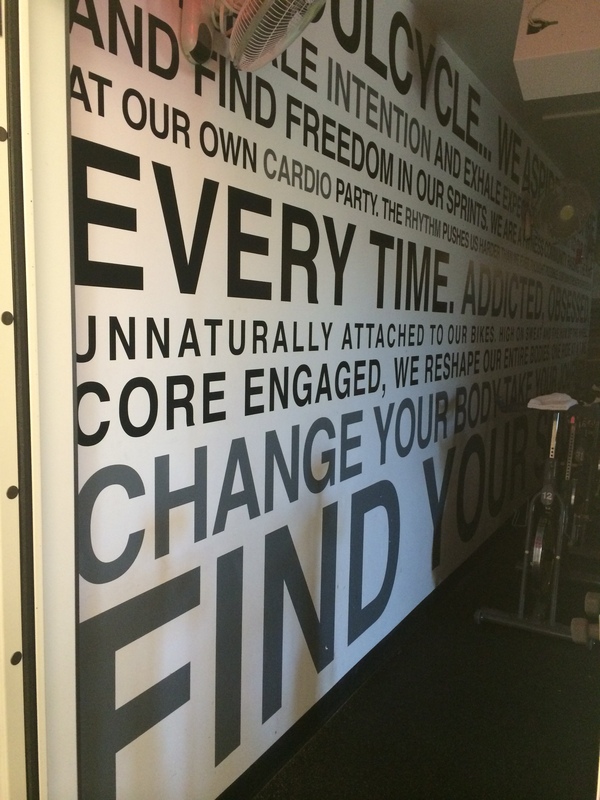 Then it hit me: I hadn’t tried SoulCycle yet! And when I looked at their class times, they had a 12:30 which was perfect! While they offer a discounted first class (and free shoe rental for your first time), when I spoke with them and they learned it was my birthday and that I was a fitness blogger, they provided the class free of charge for my sister and me. How sweet was that?! I was so thankful for that gesture. I think it says a lot about a company when they do things like this! Anyway…. 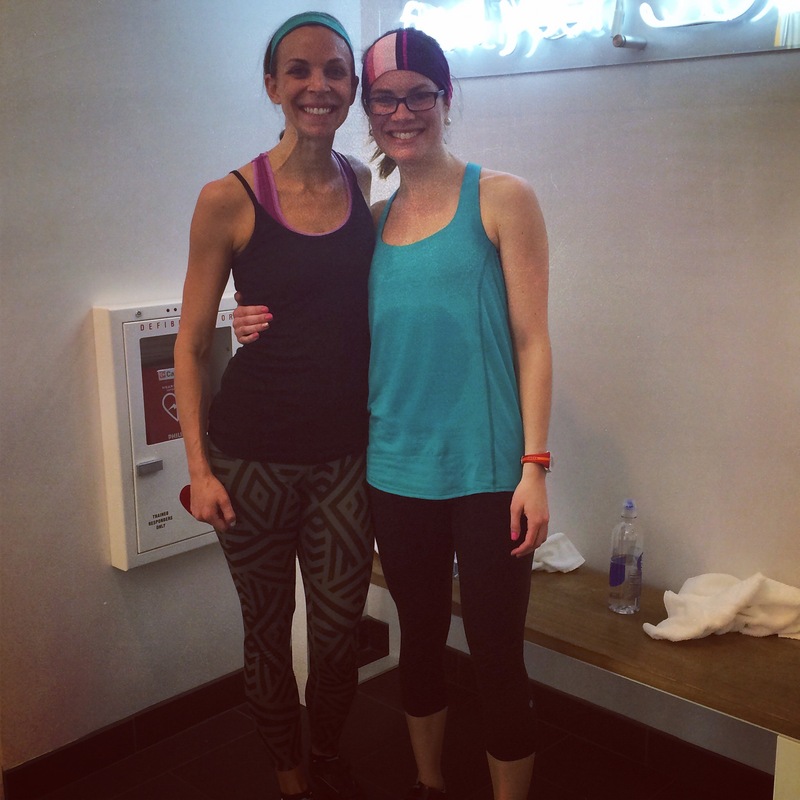 we went to Charolette’s 12:30pm class and it was amazing. Her energy, the vibe she created in the room, the music, her words of motivation. If it sounds like a I have a girl crush on her, I think it’s because I kinda do 😉 As an instructor, I can be overly critical of other instructors, but I literally only have good things to say about Charolette’s class. On top of that, the welcome desk staff were so good at bike set-ups for my sister and me. Not only did they spend more than 30 seconds making sure all of the adjustments were correct, they explained WHY they were putting the handlebars/seat at certain numbers. It was very helpful! We did do 1 arm song,which I didn’t think was terribly challenging, I think because it was a lot of bicep/tricep work which isn’t as hard as shoulder work (for me, anyway). Other than that, we did the usual booty taps and pushups and crunches on the bike- all things I love! And, the icing on the cake (literally)? A surprise from the team with a cupcake from Sweet Cupcake! And riding next to my sister and birthday buddy, Jess, was the absolute best! 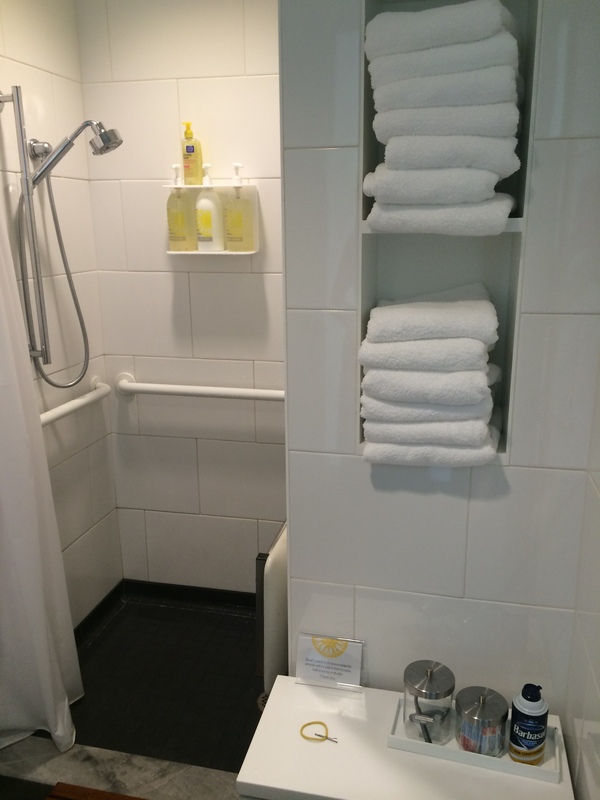 On top of offering a fantastic class, SoulCycle has two fully stocked shower rooms- including towels, shampoo/conditioner/shower gel, razors and all the post shower hair products you could need. I love when studios offer this little bit of luxury. Since the classes are often pricy, it’s nice to make a full experience out of it- workout, shower, post workout meal/drinks… or, at least that’s what my sister and I do! 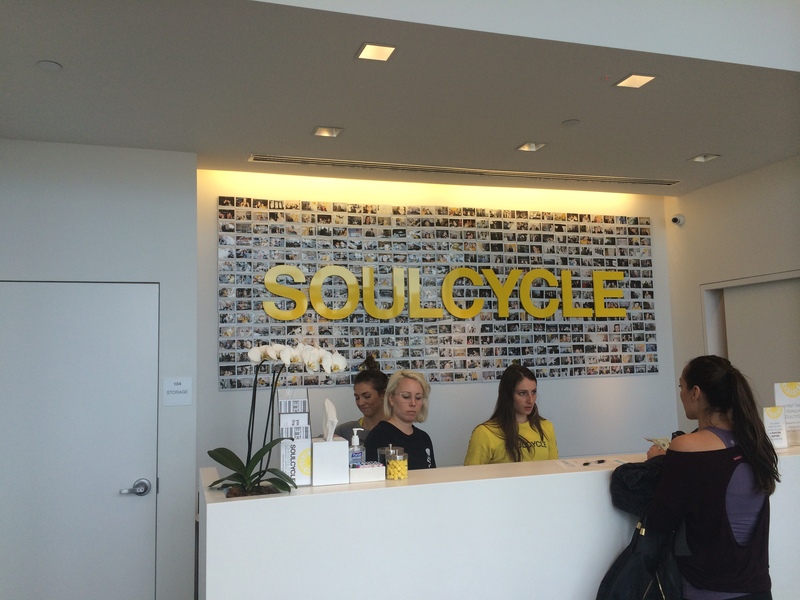 Questions for you: Have you been to SoulCycle? 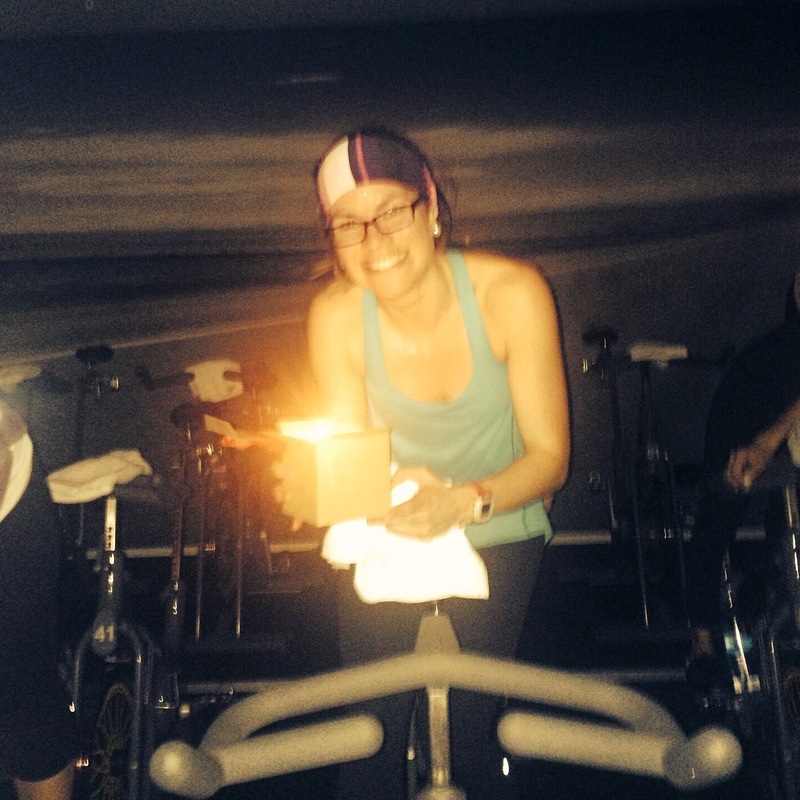 Where’s your favorite indoor cycling studio? What’s your ideal day? I heard soul cycle now lets you pre-book which bike you want. That’s the biggest problem at my local cycling places, fighting to get a good bike (aka in the back) Thanks for sharing! They do let you pre-bike! Every Monday they open up the booking for that week- I can’t stand when you can’t sign up… fighting for bikes is NOT fun and NOT something I want to do if I’m spending $$ on the class!